As vehicles become cleaner, personal-care products, paints, indoor cleaners and other chemical-containing agents are an increasingly dominant source of key emissions, scientists say. In a major study released Thursday, a team of government and university scientists say the nature of air pollution is changing as vehicles become cleaner, leaving personal-care products, paints, indoor cleaners and other chemical-containing agents as an increasingly dominant source of key emissions. The study focused on a class of chemical products that gives off “volatile organic compounds,” or VOCs, petroleum-based odorous substances that, in outdoor air, can contribute to the formation of ozone or dangerous small-particulate pollution. The research found that the contribution of these chemicals to the overall burden of VOCs has been significantly underestimated and is underrepresented in current inventories used to judge the sources of pollution. The volatile compounds in question take many diverse forms and have complicated origins, emerging from trees and grass as well as from human-made sources, such as vehicles. They are also found in many kinds of consumer and industrial products. The new research in particular cites “pesticides, coatings, printing inks, adhesives, cleaning agents, and personal care products” as key sources of VOCs. In some cases — pesticides, for instance — these chemical products give off VOCs outdoors. In other cases, the emissions occur indoors and then migrate outside. One giveaway in terms of what products are relevant, the authors said, is simply if they have an odor. McDonald and Cappa completed the research with a team of 19 others from NOAA, the National Center for Atmospheric Research, and multiple universities in the United States and Canada. The findings do not automatically mean the substances are dangerous to breathe indoors — the study does not analyze that question — but rather that outdoors, they are interacting with sunlight and other substances, and undergoing other chemical reactions that contribute to outdoor air pollution. “What we really want to do with this study is just sort of raise the awareness, that this is now — in terms of air-quality implications, for some of these large industrialized cities — this is an important component of trying to meet these air-quality standards,” said Jessica Gilman, a study author and a researcher with NOAA. The study was based on diverse approaches: taking inventories of industrial production of products containing VOCs, sampling outdoor air data, and running models of how particles move from indoor environments to outdoor environments and back again. 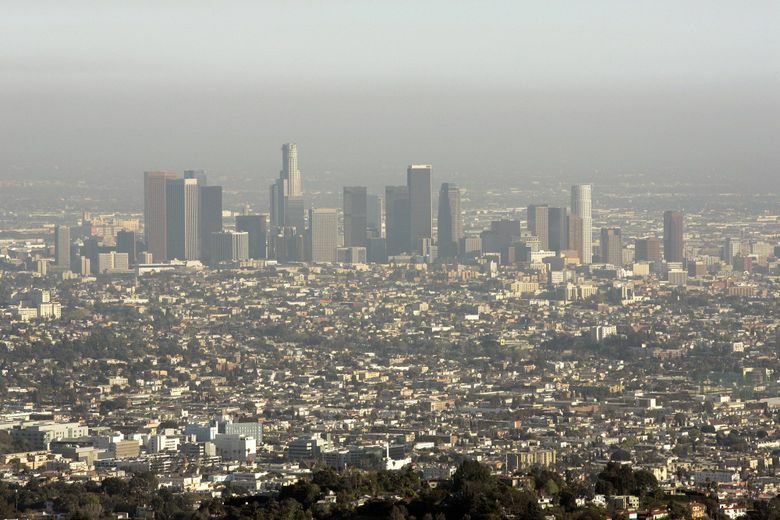 Follow-up research in Los Angeles, notorious for its air-quality problems, found that the prevalence of VOCs in the air from chemical products matched the authors’ estimates. Two scientists not involved in the research praised the work, and one implied that the regulatory implications of the work could be significant. “I think this is a comprehensive study,” Nga Lee “Sally” Ng, a professor of chemical and biomolecular engineering at the Georgia Institute of Technology, said by email. Ng argued that the work suggests additional research will be needed to determine how much these chemicals are contributing to the formation of fine particles in the atmosphere, the most dangerous form of air pollution.